Be a savvy student; manage your finances with Study Money. 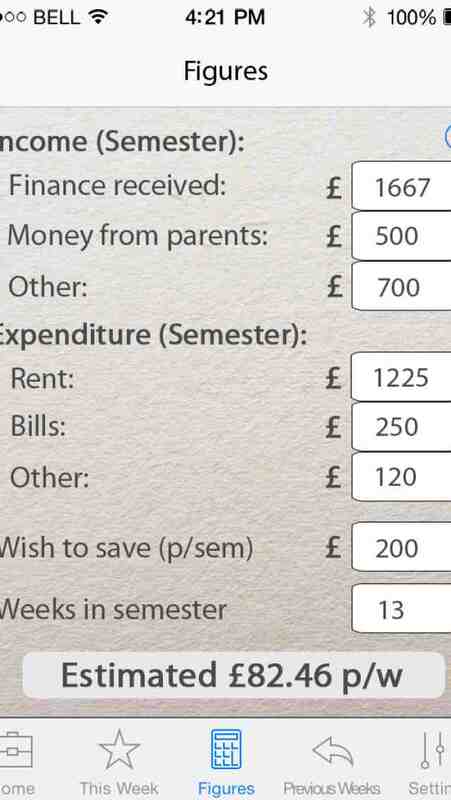 Our app has been specifically designed to make managing your student budget while at university a breeze. 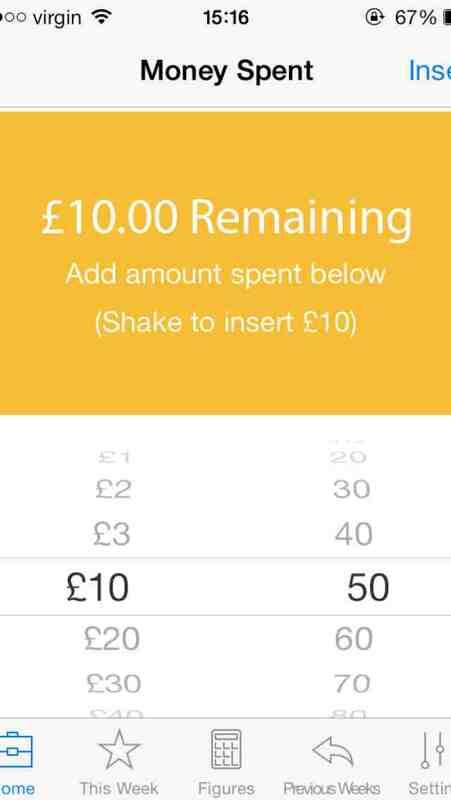 It can be difficult to keep on track with your weekly budget when card payments are the norm, simply insert expenditure when you withdraw money from your bank account or make a purchase on your card. 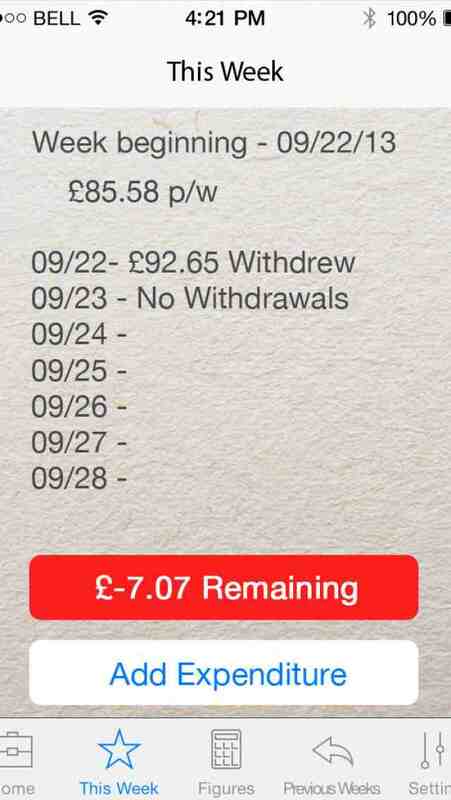 Study Money calculates a personal weekly budget for you using your income and expenditure figures and ensures that you stick to it using many features built into the app. 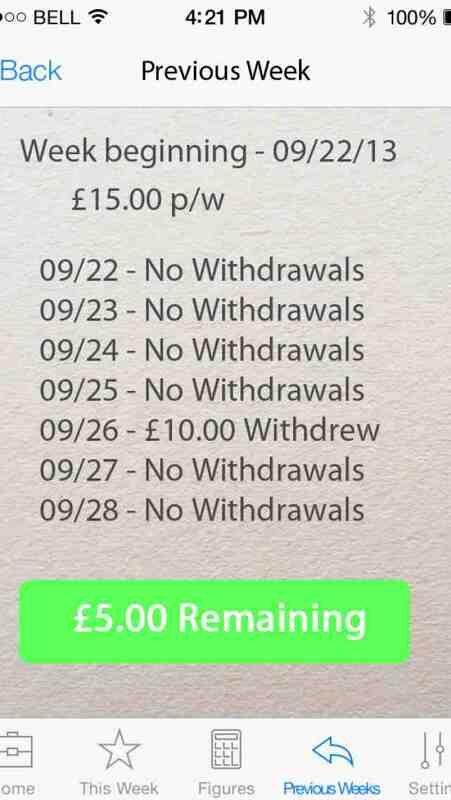 Study Money will operate a one month free-trial. 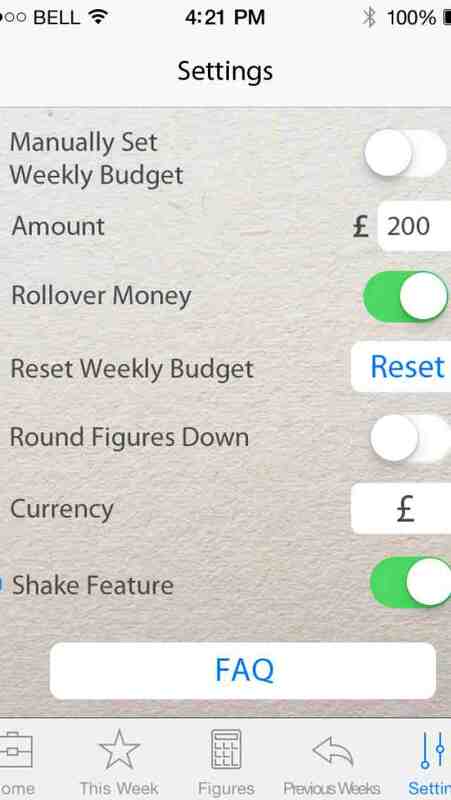 Please Note: We have told our developers to use the iOS 7 SDK and as a result we do not have many screens with the new theme but there are some prelimiary screens below to take a look at. We are also unable to offer beta testing.